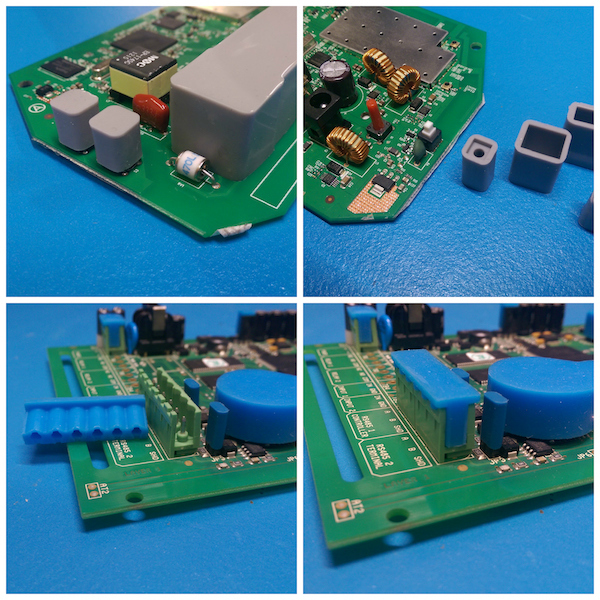 SCH provide custom made, reusable masking boots to replace tape and dots in the conformal coating masking process for both Parylene and liquid conformal coating processes. 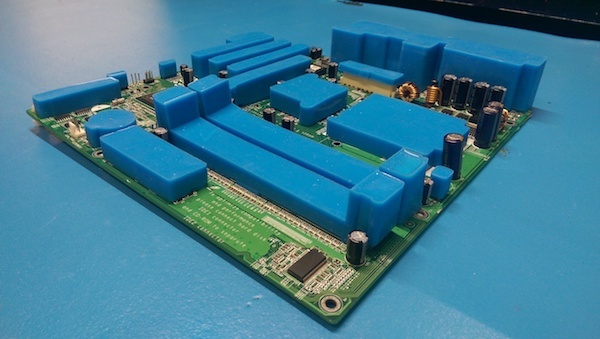 Using masking boots in protecting printed circuit boards (PCBs) from conformal coating application errors has been proven to be a low cost, highly reliable solution. Find out more about why masking boots could provide the best solution for you. 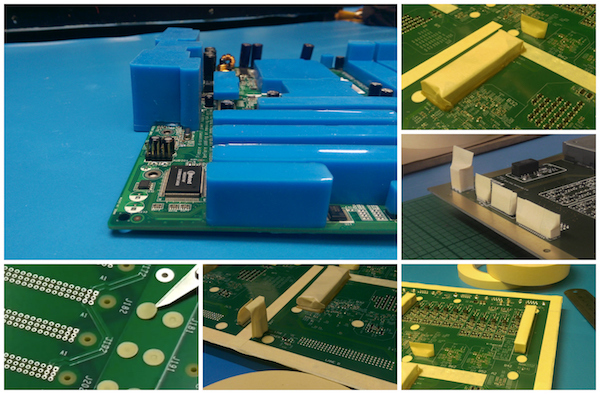 Why use reusable conformal coating masking boots? Recyclable masking boots offer a labour saving alternative in both the masking and de-masking stages of the coating process. This saves you time and money. Masking time in reduced. Masking boots can be 4-5 times quicker than masking tape. Masking boots don’t leak. So less repair. This means you can save a lot of money very quickly when switching to masking boots. Its as simple as 1,2,3….. Provide a picture of the board you wish to test. This is so we can check for any problems in design. Identify the components you need to mask. We can help review your process. Provide the component identification codes (manufacture details etc). This gives us the dimensions of the component. 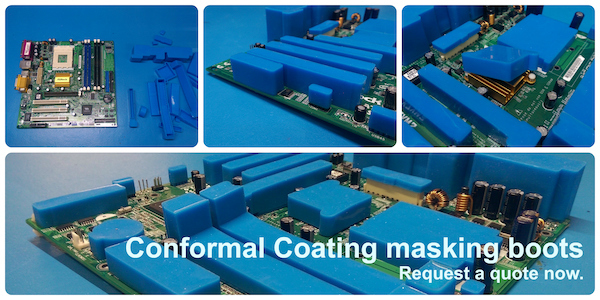 Why use conformal coating masking?